Have you been to the Coffee Perch yet? If not, you are missing a really cute and trendy place to meet for coffee, a treat or lunch! 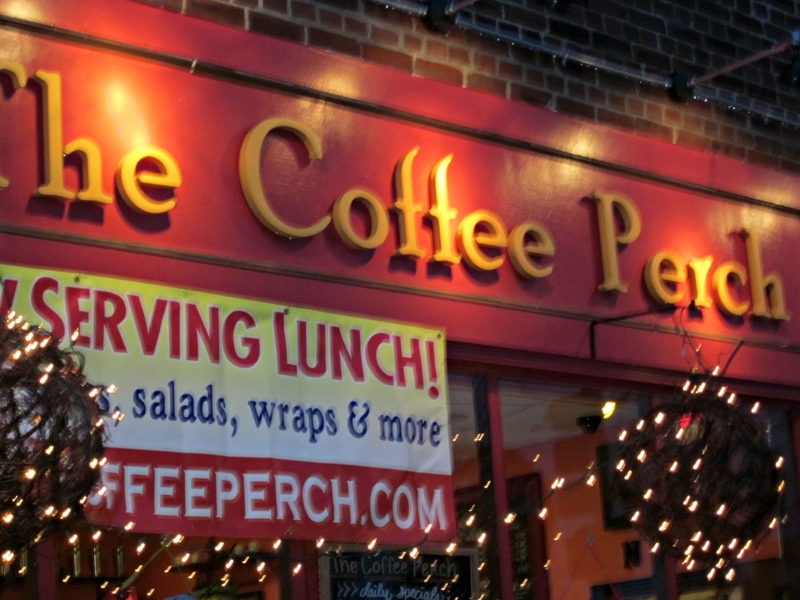 Located in the heart of Walpole MA across from the common, the Coffee Perch opened it's doors a few months ago. Owners Mark and Maura McAuliff also own the Raven's Nest next door. Both establishments are an added plus to the picturesque downtown area of this community. A place where you just want to hang out, the decor is cozy and inviting. Their gallery wall this month will feature the art work of local artists Fran Palmieri and Phyllis MacKinnon. Both these artists have long time, strong ties to the Walpole area, where they have been active in their support of the local art community. Their work has been showcased in many art exhibits and shows. Fran Palmieri's work will take you from sunny Naples FL to the woods of Maine. She has won awards for her vibrant paintings in watercolor and acrylic mediums. The team behind the counter, Manager Chelsea, and Co worker Bailey were so friendly it was contagious! If you have not visited The Coffee Perch yet, grab your best bud, or a good book and head on over. My guess would be that it will become a favorite meeting place! Can't wait to check it out. Looks like a real cute place. Hi Nancy. I hope you get a chance to do that. It is really cute.